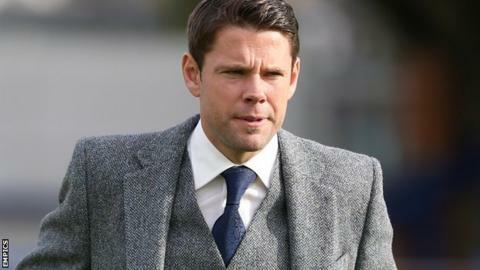 Former Accrington Stanley boss James Beattie has confirmed he has applied for the vacant managerial post at League One club Gillingham. The 36-year-old has been out of work since parting company with League Two side Stanley in September. Gills chairman Paul Scally is targeting a "younger, more flamboyant manager" after sacking Peter Taylor, 62. "I've applied for the job and am just waiting to hear back from them," Beattie told BBC Radio 4. "Hopefully it will be a positive outcome." Taylor was sacked on New Year's Eve with the Gills one place and two points above the relegation zone. With a four-man caretaker team in charge since Taylor's departure, the Kent club have since slipped into the bottom four on goal difference. Scally, who is based in Dubai, wrote an open letter to the club's supporters on Tuesday stating that interviews for a new manager would take place this week and next. However he stated he had "no idea" who he would appoint and that the club "will not rush into a decision". Former Southampton, Everton and England striker Beattie was in charge at Accrington for 16 months, having initially been a player-coach at the Lancashire club. The club finished 15th in League Two last season but Beattie left the Crown Ground by mutual consent after six games of the current campaign. Beattie is currently spending a week with Premier League side Swansea, shadowing manager Garry Monk. "I'm in with Garry and his team this week and seeing how they prepare," he said. "I've been into a number of different clubs doing the same and seeing if I can pick up any trinkets of information." Meanwhile, Newport County manager Justin Edinburgh says he has had no contact from the Gills about replacing Taylor at the Priestfield Stadium.